Hi all! Sorry I've been MIA the past week. My days have been full and we had a little unexpected visitor in our house this past week... CHICKEN POX! My 12 year old developed chicken pox somehow, even though she was vaccinated against them a little less than 10 years ago. She had a mild case, but she had to stay home the entire week (poor baby, huh? LOL). The good news is, the other 2 kiddos don't have them... YET. LOL I am crossing my fingers that they don't get them, but who knows? The nurse at Bailey's school told me that this is the first time in 7 years that kids in the middle school have had chicken pox and it was a small outbreak at her school. I'm happy to report I don't think she'll have any scars and she wasn't miserable... just a little itchy. Welcome to day 1 of MFTeasers! Today, we are featuring 2 new stamp sets, which will be released on April 7th at 10 PM EST right HERE in the MFT boutique. We will be having a release party in the MFT forum HERE to celebrate the occasion, so stop by if you can from 8-10 PM EST on April 7th. 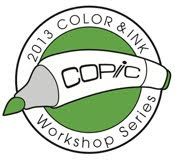 If you'd like to see a full list of participating designers in today's peeks, please visit Kim's blog at 11 AM EST. 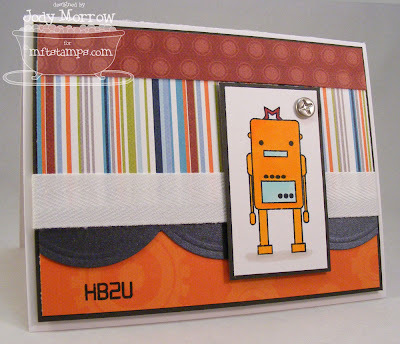 My teaser uses the Lots of Bots stamp set. 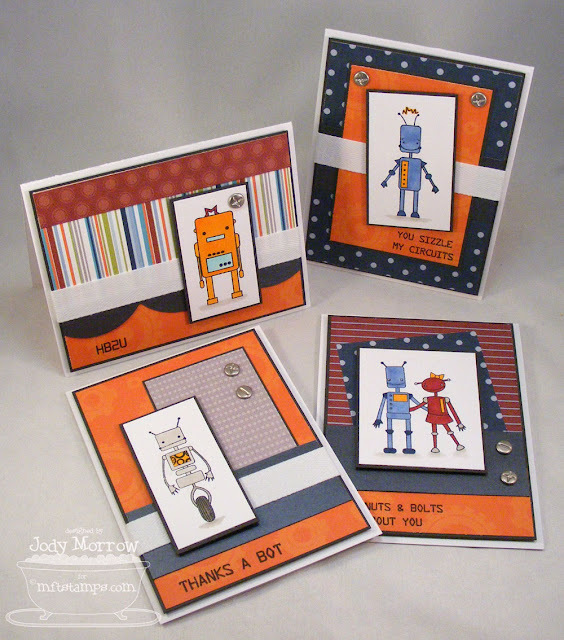 I used all 4 robots that come in the set, as well as the majority of the sentiments. 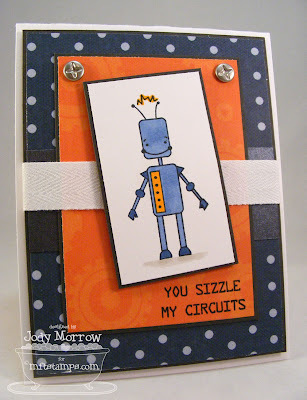 I also tied in my cards with Jessie's guest designer challenge. Did you know that you can win the ENTIRE MFT release by entering the guest designer challenge? 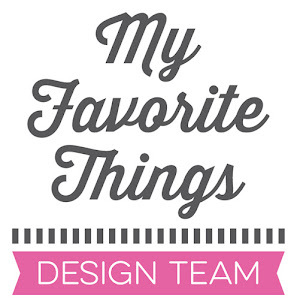 You get to play along with the design team the following month, post teasers, participate in hops, and get more than $100 in stamps FREE! It is SO worth playing for! This month's challenge can be viewed right HERE in the MFT forum on SCS. Check it out and participate! I can't wait to see your entries! See you tomorrow with more teasers! Thanks for stopping by! Oh dear, got my fingers cross for you that there's no more spread! I love your cards - really fantastic - can't wait to get my hands on these new ones!!! 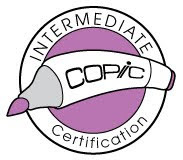 My 5 year old son got a really really mild case of the chicken pox back in October and he too was vaccinated. But, unfortunately for him, he didn't have to stay home. After looking at them, the Dr. said he wasn't contagious as they weren't blistering and was safe to go back to school the next day. None of my other 3 kids got them, nor did my husband who has never had them, so hoping you are as lucky as we were! WOW!! they are so cute. I love the colors and embellishments. Absolutely darling cards! 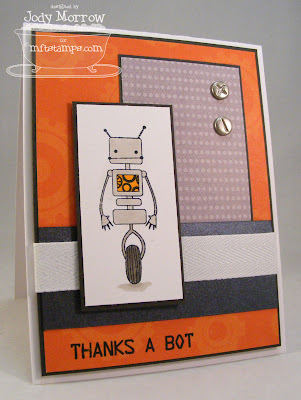 I read the card sentiments as a 'stereotypical' robot. Now that sound is stuck in my head. LOL! Here is to no more chicken pox! Sorry about the chicken pox, Jody! Your card set is awesome! What an awesome set!! Love how you mixed the type of brads in some of the cards! Amazing as usual! What a great set of cards! 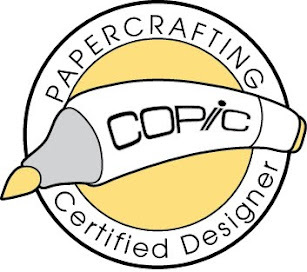 Love the papers you used and the clean lines! Love all of those cards Jody. Now to go dig through all of my stuff and find my screw brads. I know they're around here somewhere. Lots of bots indeed! And I love them all--what a great set! 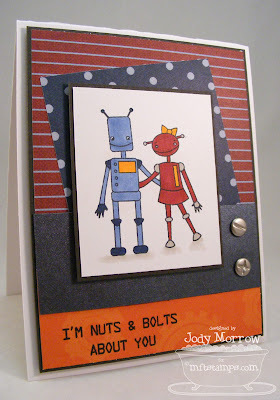 Adorable cards Jody...LOVE em! Hope the girls are all doing fine...even mild chicken pox is no fun! Great set of cards Jody! They are all fantastic! Hope the kiddos are on the mend! These are so cute!! The screw brads are just perfect! I hope everyone is better at your house! !